Lync Basic 2013 helps you stay connected to the people who are important to you via instant messaging (IM), email, audio and video calls, persistent chat rooms, and online meetings and presentations. Let’s go through some basic Lync Basic tasks to get you started. In Lync, contacts are the online identities of the people you interact with most often. 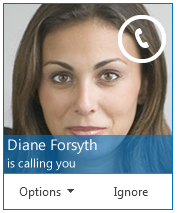 They’re a key part of the Lync experience. 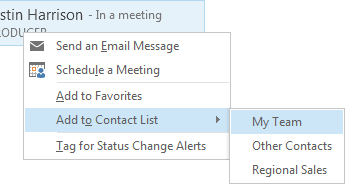 One of the first things you’ll want to do as you begin to use Lync is start to build a list of contacts. 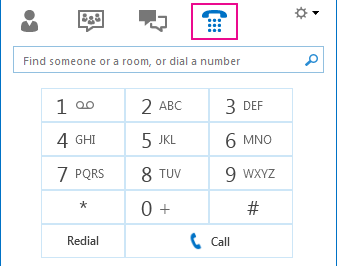 In the Lync main window, in the search box, type the name, email address, or phone number of the person you want to add. When the Contacts list appears, point to the picture (or picture display area) of the person, and click More Options. Point to Add to Contact List, and select a group for your new contact to belong to. Right-click their listing, and click Send an IM. 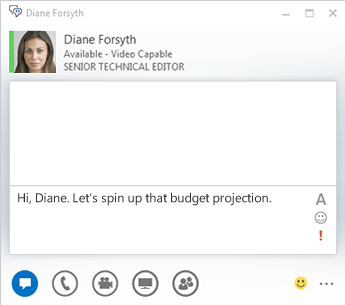 Point to their picture in your Contacts list, and click the IM button on the Quick Lync bar. Type your message in the text field at the bottom of the window, and press Enter. 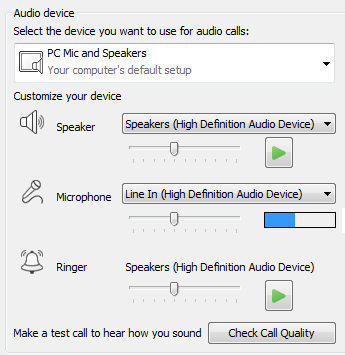 Before you use Lync to make a call or join an online meeting, set up your audio device and check the quality. You can use your computer’s mic and speakers or plug in a headset. Tip: Click the green arrow, under the Speaker menu, to hear a sample tone. Use the blue indicator, under the Microphone menu, while you speak into your receiver or headset to choose the appropriate level. Click the arrow next to the Phone icon, and select another number. Click the numbers on the dial pad, or type the number in the search box. To reply an instant message instead of with audio or video, click Reply by IM. To reject the call and avoid other calls, click Do not Disturb. Desktop sharing to switch between programs or work on files from different programs. Program sharing to present specific programs or files when you don’t want people to see anything else on your desktop. 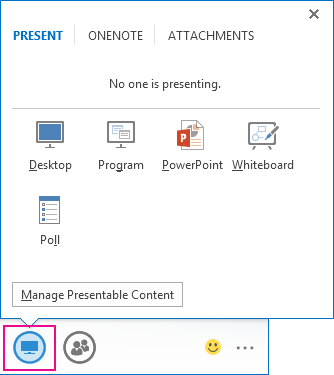 In a Lync Meeting, pause on the presentation (monitor) button, and then click the Present tab. Click Program, and select the specific program(s) or file(s) you want to share. Tip: If the program you’re trying to share doesn’t appear, see Don’t see the program you want to share? Note: Note (OneNote) sharing is not available in Lync Basic. 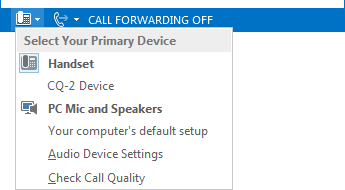 Your Lync status changes to Presenting, and you won’t receive instant messages or calls.